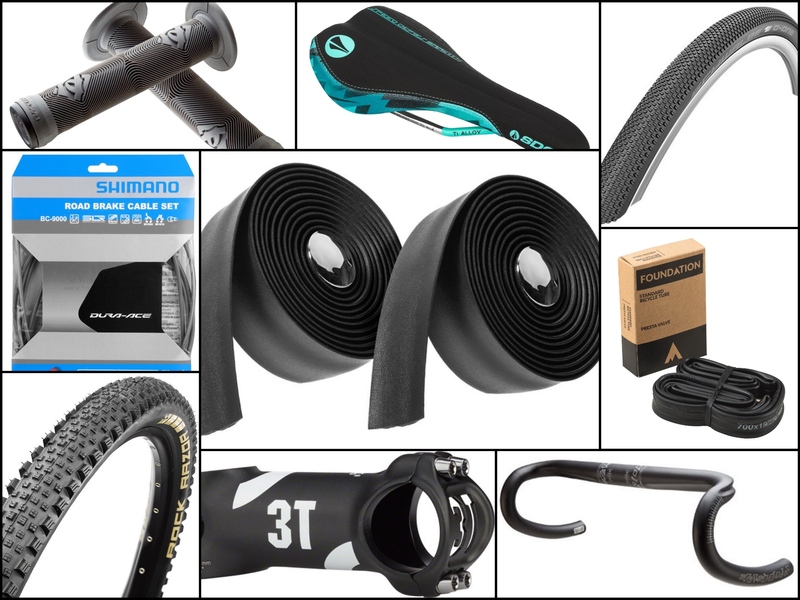 This week’s Hot Deals from Jenson USA include handlebars, a stem, a saddle and more. Easton has a reputation for making lightweight components that riders can depend on. Their new EC90 SLX bar is a perfect addition to their already impressive product line. 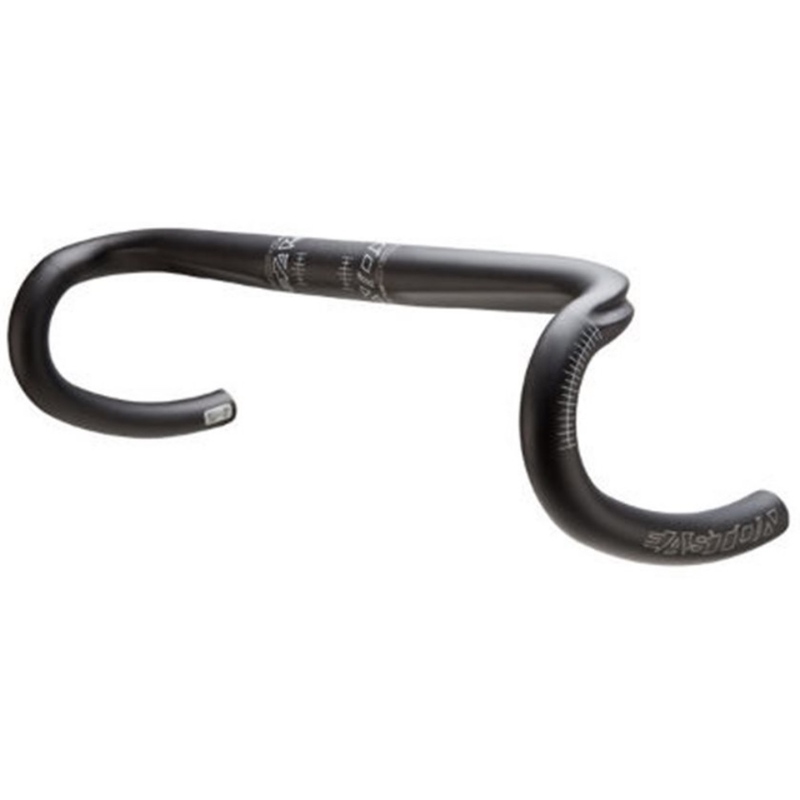 The SLX is one of their lightest handlebars to date, weighing in at under 200 grams. The bar features their new MCD shape technology to provide a unique and comfortable riding experience. Featuring the perfect ratio of stiffness and flex, the SLX can position riders in a perfect attack stance, or a comfortable cruising position. Compatible with SRAM, Campagnolo, and Shimano levers, the bars feature dimensions printed on the side for ideal hood positioning. With 80mm of reach and 125mm of drop, the SLX bars are very accommodating. If you’re looking for a high-performance bar in a lightweight package, you’re sure to find satisfaction in the SLX. Gravel grinding has grown beyond a trend and become a legitimate segment of cycling that does not look like it will be going away anytime soon. With this comes a need for a tire that is versatile and meant to tackle the variety of terrain a Gravel Grinder would encounter. 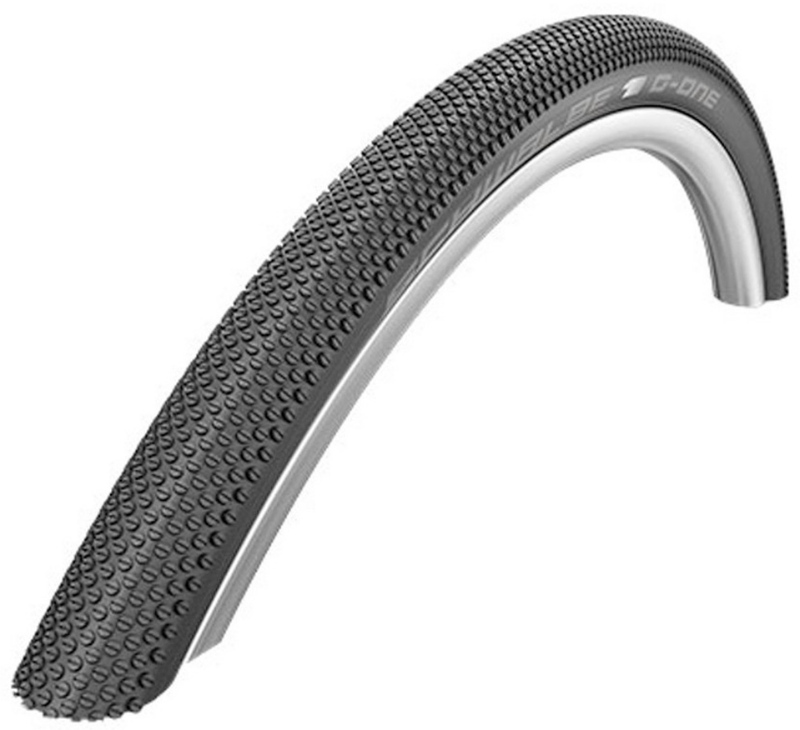 The Schwalbe G-One convincingly fills that niche with its perfect blend of on and off road traction, low rolling resistance, and superior protection. The dual compound tread remains fast when riding up the center knobs, while the softer corner knobs dig in and grip on softer terrain. RaceGuard performance offers efficient protection from slices to the sidewall. The G-One is prepared to carry you through rolling fields, over forest paths, and down winding roads to get to your destination. Tubes rank as one of the least exciting parts of a bike to think about, but they are pretty dang essential and deserve some consideration when deciding which ones to purchase. 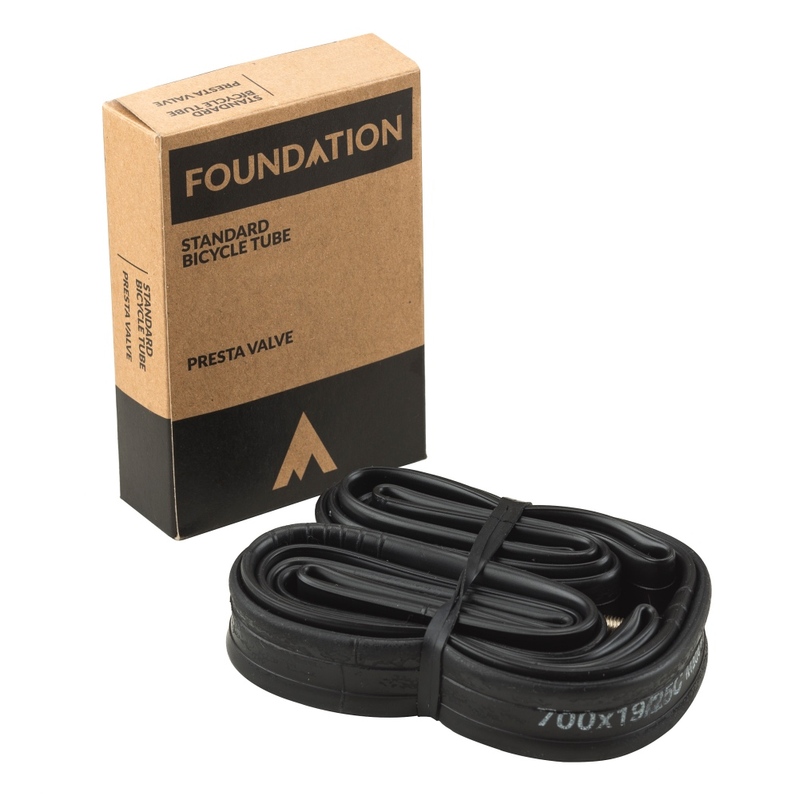 Foundation Road Presta Valve tubes offer a great bang for your buck and come in a variety of widths to fit your individual needs. Without a tube, you don’t roll. When the you’re rolling on goes flat, you don’t roll. If you don’t have a replacement handy, your walking, not rolling. 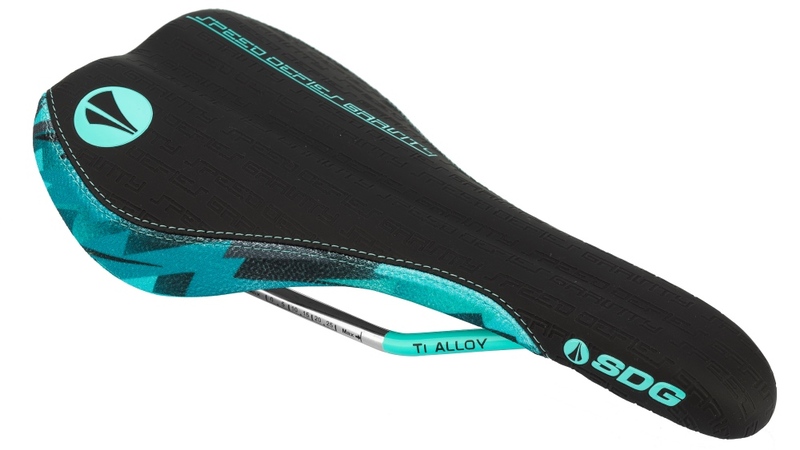 Set out on your next riding adventure with the SDG Fly MTN Camo Ti-Alloy Saddle. It’s a rugged, durable saddle with all-day comfort and features Kevlar sides for maximum durability. The flat-forward platform allows for ease of movement on the saddle to provide you with multiple riding positions to increase comfort while out riding for hours at a time. The peri-canal provides a continuous relief channel from the tip to the tail, making it much more comfortable when in an aggressive riding position. Legendary Shimano Quality! 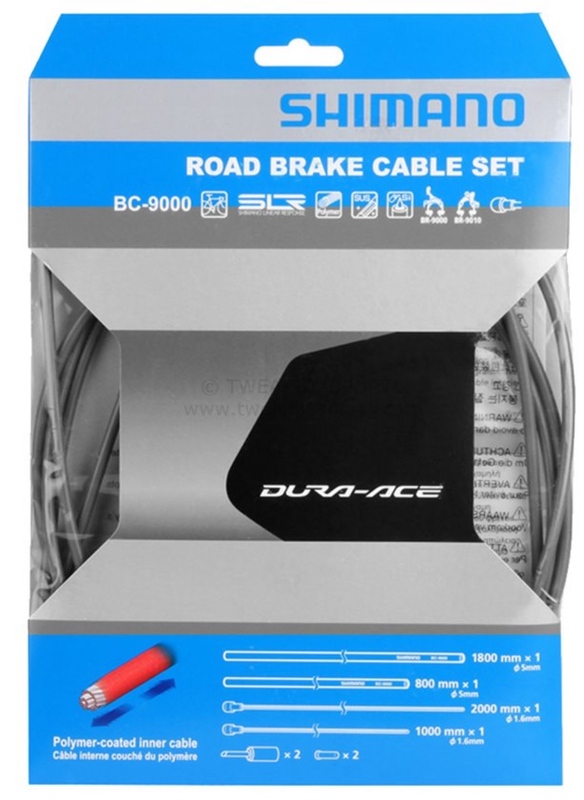 Dura Ace 9000 Brake Cable Set for road bikes. Genuine Shimano cable is the best possible cable to use on your Shimano-equipped bike. Fits most road bikes equipped with mechanical caliper rim brakes. Shimano’s revolutionary Sil-Tec Coating on inner cables provides long-lasting silky brake actuation for the most braking power! The cable housing is lightweight but extremely stiff, allowing all your braking power to go to the rim and not into flexing the cable housing. Arguably the most advanced cable and housing on the market. 3T ARX II Pro Stems are popular in the pro peloton, and for good reason. Strength, precision, reliability, all that. The stem uses an aluminum grain structure aligned for improved strength, and a clamp design that’s optimized to ensure a secure fit on composite steerers and bars. Construction is made up of an alloy body with cromoly bolts, and stack height is 40mm. The Deity Holeshot 35 25mm Rise Handlebar is Deity’s first 35mm bore 7075 T73 aluminum handlebar rated for downhill use. 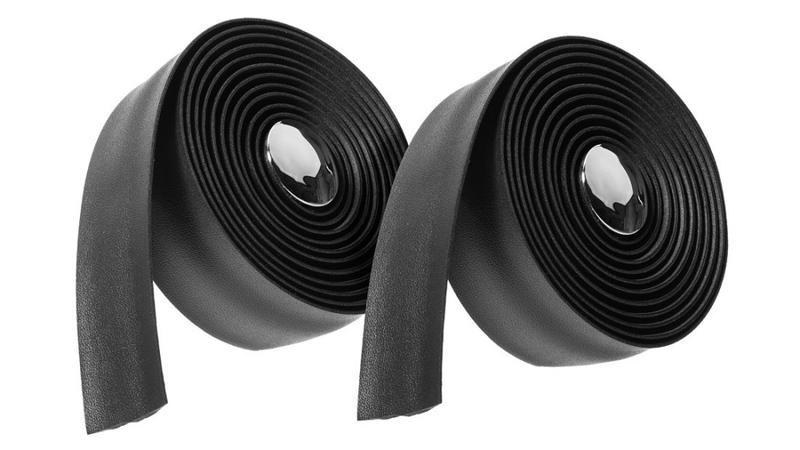 They ride exactly like the well-known Black label handlebar and come in an 825mm width. They also feature Deity’s 2-tone bead blast and a mirror polished anodized finish as an added detail. The Schwalbe Rock Razor is a fast yet aggressive race tire made specifically for Enduro type riding. Where a full on DH tire is made extremely aggressive and knobby, the Rock Razor requires a little more finesse when navigating technical sections, but the time you’ll save on the stage transfers will be well worth it. 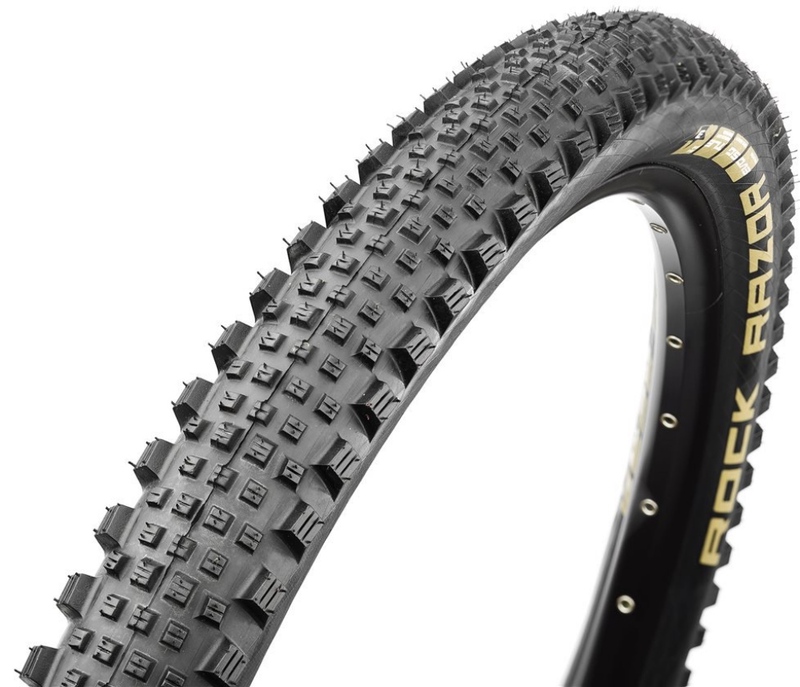 Commonly used as a rear tire with something with a bit more bite up front, the Rock Razor is unlike any other tires you’ve seen. A super aggressive row of consistent, square-blocked knobs on the sides offer plenty of grip while remaining predictable in the turns while the low row of knobs down center keep rolling-resistance to a minimum with slightly taller knobs in every other row for better grip when applying the brakes. 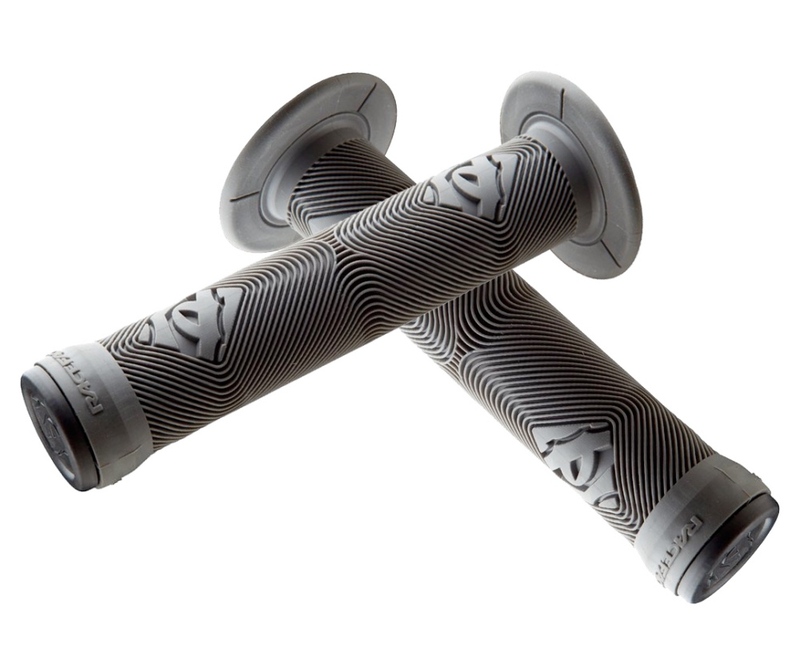 Made in the USA, the Race Face Chester grips are an important and often overlooked component. Manufactured with a soft but durable compound, the Chester grips also feature a larger inner flange and longer grip area. Wellgo’s MG-21 Magnesium Platform Pedal has everything you look for in a Platform Pedal. A wide, slim base with concave shape and 8 sturdy pins. The sealed bearings provide a super smooth rotation, and the Chromoly axle is sturdy and reliable. 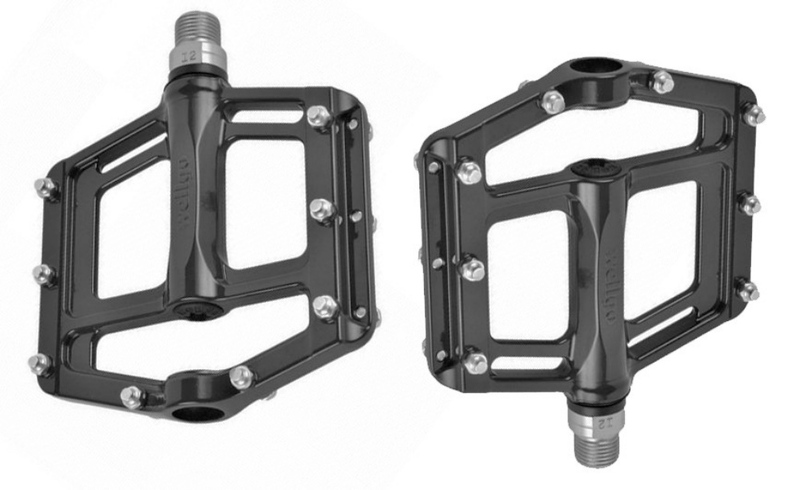 The MG-21 weighs only 298 grams per pair, and it’s sure to be a pedal that gives you confidence on the bike. Adjusting your seat post has never been so easy thanks to dropper seatposts. The Race Face Turbine Dropper Seatpost features 125mm of travel for all-day comfort on the bike. The seatpost functions well in all conditions, even in freezing temperatures. A mechanical lock comes into play to support the rider’s weight for added security while riding. The Shimano M820 is the third generation of Saint. Saint was developed under the philosophy of “Pure Gravity”. The new Saint is dedicated to downhill racing and will allow you to speed up and slow down at World Cup racing speed. 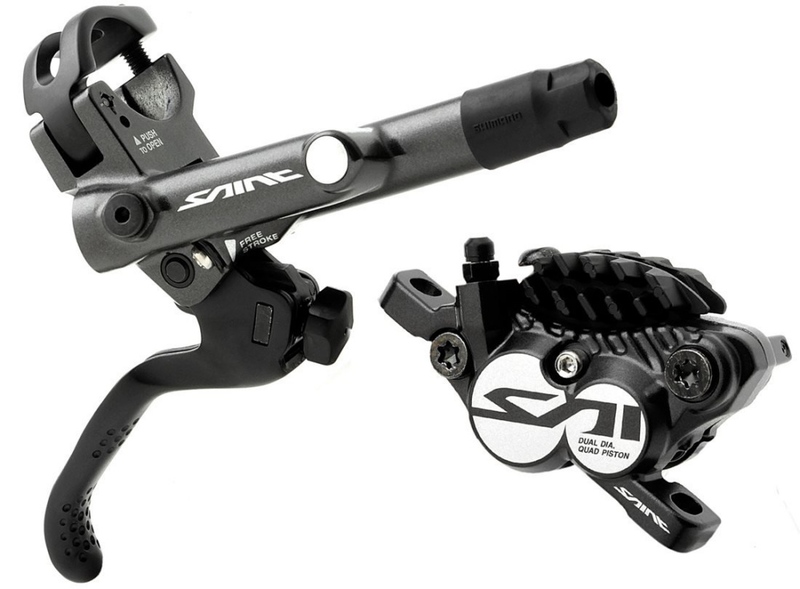 Shimano’s advanced Saint ICE Technologies brake levers feature shorter more ergonomic levers that feature tool free lever adjustment and adjustable free stroke for the ultimate in customization. The new Saint has superior heat-management with self-insulating ceramic pistons and radiator fin extra wide pads. The overall operating temperature has been reduced by 50 degrees with 20% more stopping power, compared to the older version.